The European Tour stays in Asia this week for the Maybank Malaysian Open. The Kuala Lumpur Golf & Country Club is set amongst the Bukit Kiara hillside some 5 miles from the heart of Kuala Lumpur and was originally designed by Robin Nelson in 1991. Since then the course has gone through a recent redesign which was undertaken by Parslow and Associates who extensively reconstructed the layout over a period of eighteen months. The new West Course reopened for play in October 2008 with the East course opening two years later in 2010. It’s a golf course that rewards the shot-maker and gives fantastic views of the hole you are playing and the surrounding scenery it sits in. The undulating fairways offer plenty of shot options into the greens and where water comes into play on thirteen of the eighteen holes, with an additional lake on the ninth hole. Carl Schwartzel and Luke Donald tee it up here this week and both are looking good to be in the final pairings come Sunday. But with bookies making them 11/2 joint favourites, I think we will give them a miss and look else where for some value. The 2011 Malaysian Open Champion Matteo Manassero 14/1 seems to enjoy playing on this track, he followed up that win with a with a Top-10 finish here last year. Matteo has played in four European Tour events this year and has made the Top-25 in all of those, he also had a Top-25 finish in the WGC Cadillac Championship. Matteo has not really challenged for a tournament this season but I am sure all those positive memories of winning here will see the Italian do well here again this week. 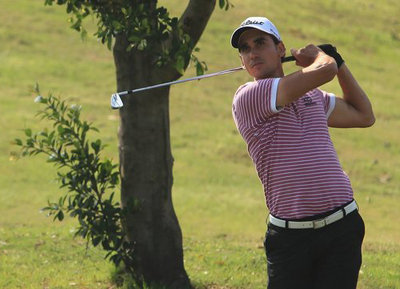 Someone who probably couldn’t wait to get back to playing on the European Tour this week is Rafael Cabrera-Bello 25/1. The Spaniard was having a tough time of it on the PGA Tour missing the cut at the AT&T National ProAM, went out at the second round at the WGC Match Play and just missed coming last at the WGC Cadillac Championship. To be fair to Rafa he did have four Top-25 finishes in all of his European Tour events so far this year. Back among familiar faces and on a track where he has had two Top-5 finishes in the last two years, I think he will do well here again this week. Victor Dubuisson 40/1 has been quietly going about his business recently. Two Top-10 finishes from his last three events sees the Frenchman come into this week in confident mood. This is Victors third season on the European Tour and he is still waiting for his first tour win, he played in this event for the first time last year and finished just outside of the Top-10, so look for him to do well here this week. Another player who seems to enjoy playing here is last seasons runner-up Stephen Gallacher 45/1, who also finished just outside the Top-10 in 2011. 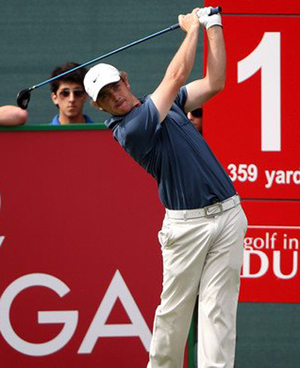 Stephen has already won this year, taking the Dubai Desert Classic with a three-shot margin. If you look at Stephen’s record coming into this season he finished with three Top-10 finishes from his last five tournaments, with one of the other finishes being a Top-20, so his win didn’t come out of the blue and I am sure he will be looking to add to that victory here. Tommy Fleetwood 66/1 made it two Top-10 finishes from four events at last weeks Avantha Masters. 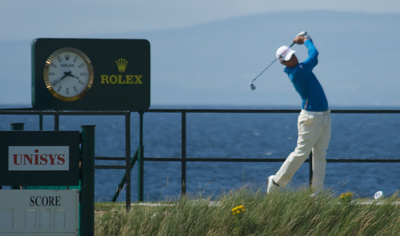 This is Tommy’s second year on the full European Tour, he didn’t do to badly in his rookie year finishing the season with five Top-25 finishes, he only had one Top-10 finish last year but that came at the back end of the season, which only emphasis his growing consistency. My outside bet this week is going to be Ricardo Gonzalez 125/1, the Argentinean has played here twice this century and both times he has made the Top-25, so I am not sure why he hasn’t played here more often. Ricardo is another player who comes in to this week playing with confidence after two Top-25 finishes in his last two events, firing a couple of 66s along the way a Top-5 finish here at these odds would do nicely!